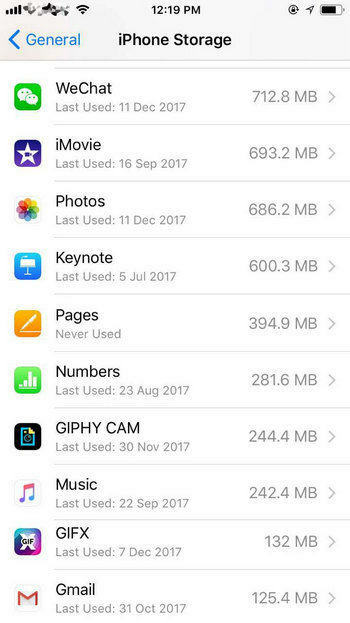 When you got the warning that your memory is almost full in iPhone, you may want to know what takes up the storage space. Go to Settings > General > Storage you may find the apps in your device. Press a specific app; you’ll see “Documents & Data” occupied huge space. But when trying to clean the junks to free up iPhone storage space, you cannot just press the items as they are grey and couldn’t be clicked. 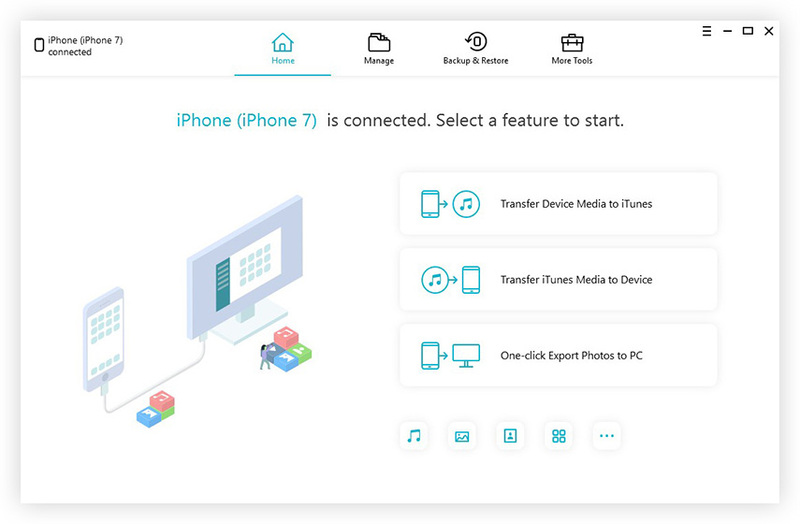 To clear iPhone documents and data completely, we sincerely recommend you Tenorshare iCareFone-the most effective tool to move out all kinds of junk files and useless data on iPhone to free up iPhone memory. 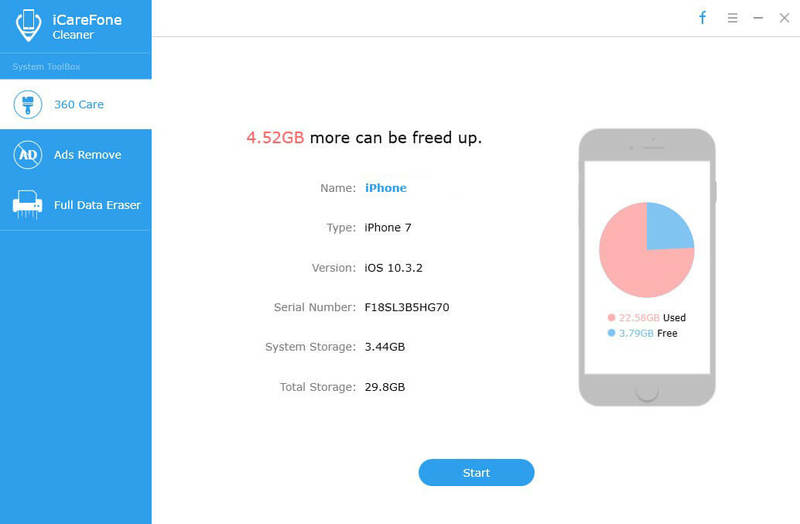 Besides, it also allows users to manage data on iPhone 7/7 Plus/6s/6/5s/5c/5 as well as iPad and iPod, which is now totally free. We have known that the documents and data item cannot be deleted directly tapping the app, but you can try to clear downloaded files, chatting history, media files, recording and etc., To do this, choose an app as the cleaning target and open it, clean the related files manually. Free download Tenorshare iCareFone and install in your computer, run the software and connect your device to computer via a USB cable. Once the device is detected, choose “Free File Manager” on the main interface. Choose “App” and you’ll see a list of apps in your device, select the one you want to uninstall and click Delete button. After that, all the documents and data files in apps had been cleaned out completely. Now you can go to App Store to download and install the app again. Choose "Speedup & Clean" on the main interface. Click "Quick Scan" to scan your device. After that, you can see how much space is taken by junk files, temporary files, photos, large files and apps on your iPhone. Click "Clean" button on the right of apps to move out all the caches and cookies in this app. You can also clean all types of files from here. Well, with the 3 methods above, removing documents and data on iPhone becomes pretty easily. Choose the one that suits your needs to regain a net space on iPhone.